I am sure there are more. But, is there any truth in the allegations? Yes, there is a slight unpredictably in how the market functions and manipulations do happen with the so called big sharks playing their dirty cards. However, the Stock Markets are not the ones to be blamed. For the sake of simplicity, lets compare the Stock Market with a SUV. They are fast, uber cool and give the driver a rush of adrenaline. But, will it give the same pleasure to someone who does not know how to handle the powerful engine that a SUV has or does not have the zeal to test its true potential on rough terrain? The answer is a big NO. The reason is simple, “It is a misfit”. Hard to digest, but that’s what all the people are who bad mouth the markets. A clear misfit. Without further ado, here are some of the ways you can (not) make money in the stock market. I should clarify at the onset that my idea of a stock market investment is a medium to long term strategy which focuses on increasing capital and not fast gains. This is one thing that lures early investors to the Stock Market. A friend / relative makes a quick buck in the Stock Markets and he / she becomes the holy angel telling everybody about the latest Get Rich Quick Scheme – “The Stock Markets”. If you have a friend/relative like that and you can get influenced by their views, you are definitely (not) going to make money from the Stock Market. If you thought you scraped through the first one unharmed, this one is surely the way to have your investments turned into sand. I have nothing against the so called equity experts but a blind faith in their opinions is the sure-fire way to burn your investments to pure ash. The so called equity experts have their own rationale for their advice and that need not align with your profile. Moreover, there are always some personal motivations running deep which influence their picks. I could almost do another post on this point alone. But the idea is, “Following Equity Experts blindly does not work in Stock Markets”. This is the big daddy of Equity Investment debacle in general. A tendency that there is hardly enough investment to set goals is a disaster waiting in the wings. If you thought Investment Goals were for people with lot of money invested, think again. How can you expect to make money in the Stock Market if you do not know how much you want to make. I never put down any investment goals and as a result, I never knew when to place a SELL call on my holdings. Have clear and reasonable goals documented somewhere and decide the Target BUY price, Target SELL price and so on. It will atleast help you avoid those huge fluctuations in the market when there is too much speculation. This is one simple reason to have your wealth eroded via the Stock Markets with a ‘*’. Let’s consider that your buying decision was well researched and the company fundamentals still look strong. The idea here is that some stocks have a lot more than fundamental play riding on them. They are momentum stocks and cyclical in nature. So, it is always suggested to Cut your losses and Keep Cash Handy. Cash in hand will give you an opportunity to re-enter at lower levels and make profits when the markets are going good. Believe me, there is nothing like seeing Green in the portfolio. * If you have bought in a stock like L&T at high prices, the above may not hold.Some stocks are worth passing generations and short term losses should not bog you down. This is one ideology that is both true and rubbish at the same time. True, since it saves you a lot of money on the Transaction Costs and moreover, the gains based on per share basis make it a good strategy to buy huge chunks as and when possible. But, do we keep a little buffer cash to invest more should the shares go down for short term. If you don’t then it is calling for trouble. 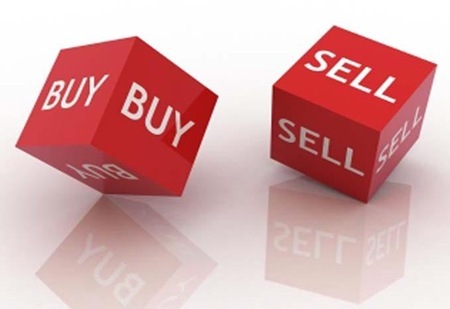 Always buy shares in a reasonable and suitable lot based on the cash position. Even if the share in your portfolio is a potential multi bagger it can go downhill for sometime. Keep some cash handy to increase positions in the share by buying at low prices. Come to think of it, I can go on writing a book on ‘How (NOT) to make money from Stock Market’. But, as of now these were some things I thought are the biggest mistakes that we (or mostly amateur investors) make while investing in Stock Markets. Disclaimer:: The views expressed here are my own and should not considered as an Investment advice. PS: If you have noticed, my bio at the end reads “Stock Market Stalker”. For those of you who wondered why I never write about Stock markets barring a bit in the Finance Friday Digest, the title and the post should answer it. Doing Business in India: Getting even worse ! Finance Friday: Indians Most Optimistic about Stock Market Investments in 2010! Hey, very nice site. I came across this on Google, and I am stoked that I did. I will definitely be coming back here more often. Wish I could add to the conversation and bring a bit more to the table,but am just taking in as much info as I can at the moment. any one can make in the stock market if followed a good plan …. I think that’s not the complete truth that one can not make in the stock market. One loses money in market because he don’t know how to invest it into the same. If good strategy is followed and you make a proper plan to invest you can make a big money from the market. thats a great anaglogy.Infact, forget a boeing, even a cycle is difficult to tame without the right knowledge and guidance.And moreover, the so called market experts cloud the vision making it so blurry that the investor is stuck in a catch-22. Yes, panic is another mistake that new investors make.But, i would blame it on their buying call itself.If they are not sure why they bought the stock at the first place, they wont hesitate to sell at the first sings of red. If you are about to begin investing in stocks, understanding the financial markets may be as confusing as the cockpit on a 747 airplane. All of the financial, speculative and market data that is available can leave you feeling overwhelmed, but without knowledge that you were seeking. There are still many people not familiar with some basic aspects of this arena. Many investors trade stocks based on hot tips from friends, phone calls from a broker, or recommendations from a TV analyst. They buy stocks when the market is hot. When the market turns cold, they panic and sell shares for a big loss. Typically, this is the horror story we hear about investing in the stock market. The Not’s i mentioned are the basic and most frequent ones.So, if any1 enters the market on either of the premise, the experience is not going to be rosy for sure. And yes, buying and selling based on the recent gain/fall is a big disaster.But, the investor is not be blamed here.There is a serious shortage of good educational resources which can actually educate the Mango Junta on the nitty gritties of intrinsic value anaylsis. Thanks for sharing the post, u have jewels hidden in ur blog:D Ur ability to fuse humour and sense is amazing.Wonder if i can learn the art/science of it. I thought this would be raised.Given the limitations on the length, i did not include the trading perspective angle at all. Moreover, ‘Trading’ per se needs more technical knowledge then is needed for Investing.Most of the Mango Junta does not get it, and hence i made an attempt to provide a laundry list of t basic common sense mistakes that the investor makes. how about differentiating between making money by “trading” and by “investing”? Is that important? @Sriram LOL.I never mentioned that i knew how to make money from Internet..But then,if you read between the lines.There is a ‘How to’ written somewhere inside this very post.. Removing the brackets will constitute a very good starting list on How u can make money. More than that, if there is someone who can tell u ‘how to make money’ , it might as well be a ponzi scheme or those million dollar scam emails that u get. Yes, fundaes can be explained and taught, but more than that it is all individualistic based on risk profile,investment goals etc. I will try my best to share some of the better things i know in the coming posts. Since you mentioned Ankit, When can we expect a how-to?